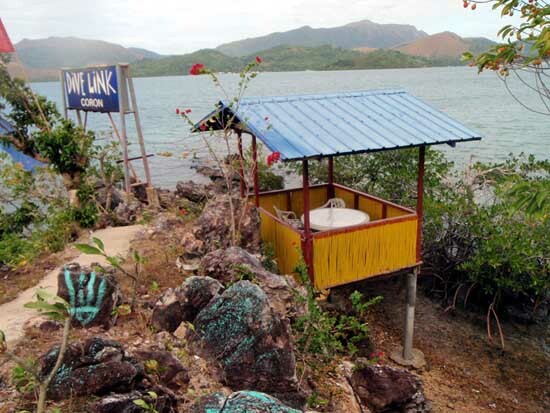 The problem I have in Coron is that once the dive boats and the island hopping tour boats are gone, you're stuck in Coron Town with not much else to do. Maquinit Hot Spring is too hot in the daytime, the nearest beach, Cabu Beach, is too far away, and there are no malls or movie houses to take shelter from the heat. 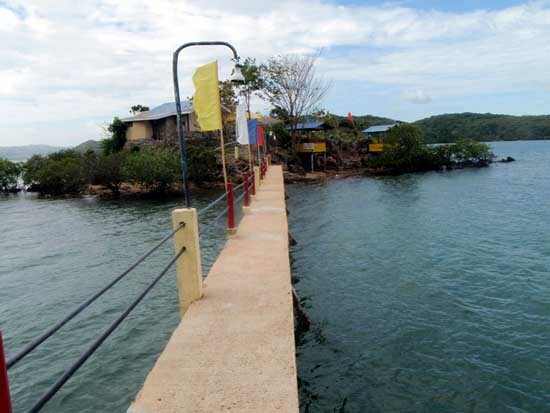 I had this dilemma when I noticed an obscure banner that offered a daytime tour of Dive Link Resort for P350. Never heard of Dive Link. I really wasn't interested, but I had no choice. 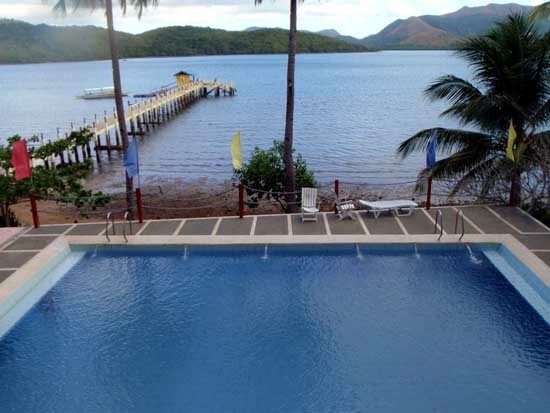 To my chagrin, the office told me the tour is now P500 and it wasn't even a dive resort. Again, no choice. What I liked was even though I was alone, they had a boat transfer me from the town to their island resort without waiting for it to fill up. 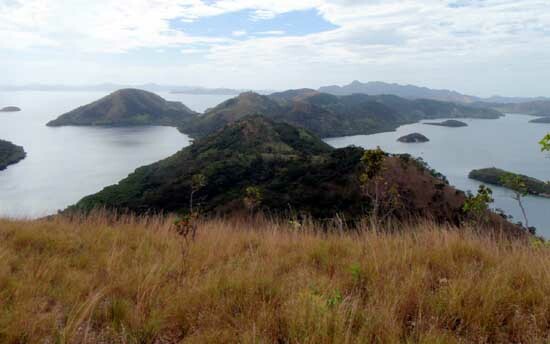 Once there, I could avail of their facilities - free use of kayak, free use of pool and I could hike their backyard that goes up 194 meters above sea level (green arrow on the map), offering a scenic view of Coron's scattered islands. 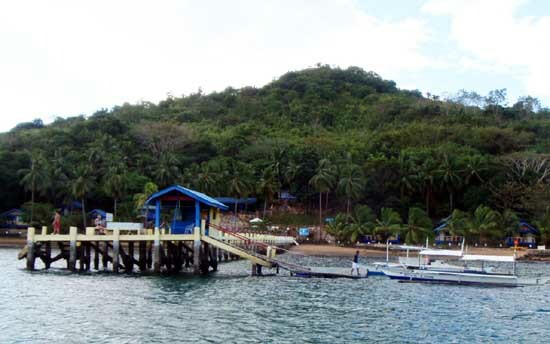 From their jetty, I could also do some snorkeling. The fee also included lunch. The first thing I did was to jump in the pool. It was refreshing and I didn't mind that I was the only one using it. Having the sea as a backdrop added a very tropical ambience to the whole thing. Next was to go snorkeling from their jetty. You couldn't do it from the shore as it was littered with sea urchins, scorpion fish, stone fish, etc. The beach was not for swimming - and there were enough warning signs on the beach. The coral reef was ok, but nothing compared to what the other areas offered. What I found interesting was the hike. The height to the summit was equally the same as though you climbed Mt. 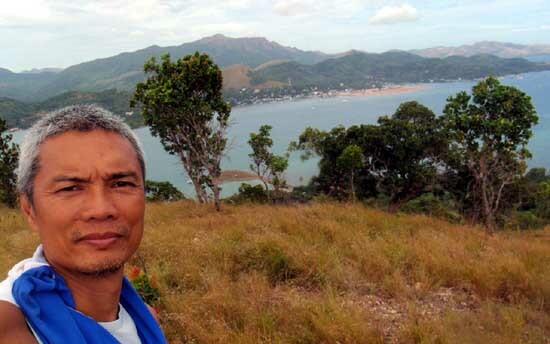 Tapyas in Coron Town - 194 MASL. But unlike Mt. Tapyas, the trail was just marked. There were no fabricated steps or rails. It was also steeper. The view from up there was just awesome. 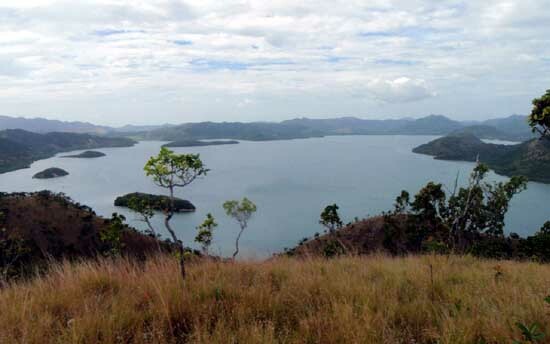 It offered a 360 degree view of the scattered islands dotting the Coron seascape. Perhaps the unexpected highlight of this visit was lunch. I expected rice and a piece of fish and a drink as the inclusive lunch. 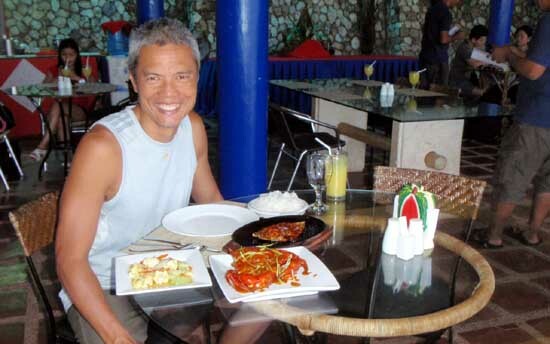 What I got was a whole crab, stir-fried veggies on the side, sizzling fish steak, pineapple juice and rice. Whoa! This alone pays for the P500 fee! Altogether, this visit was full of good surprises. Other outfits charge close to P1000 for daytime use of a kayak. 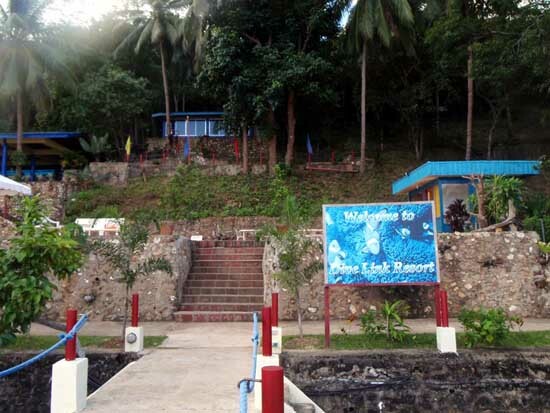 Dive Link offers it as part of the P500 fee. Lunch? No need to repeat myself. 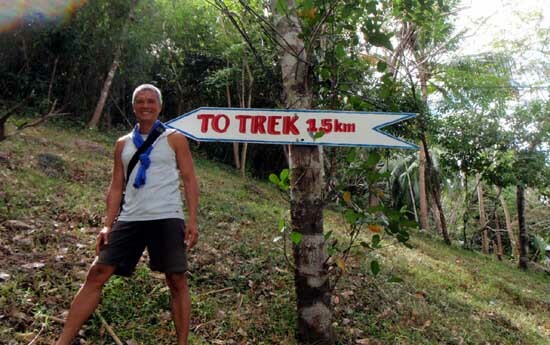 The hike? That was a good workout and the view was a fitting reward. 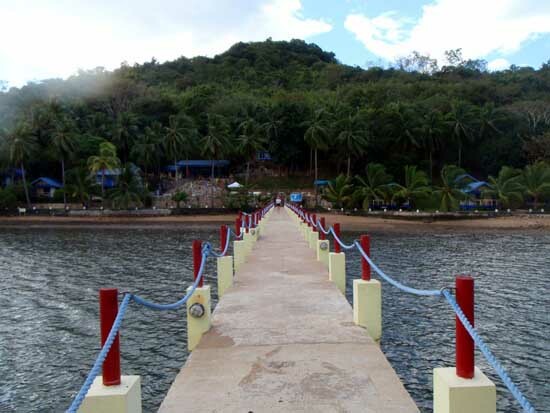 When I was done, I asked the front desk to have me taken back to Coron Island. Again, the boat took me there by myself, without waiting for other guests to fill up the boat. Nice! 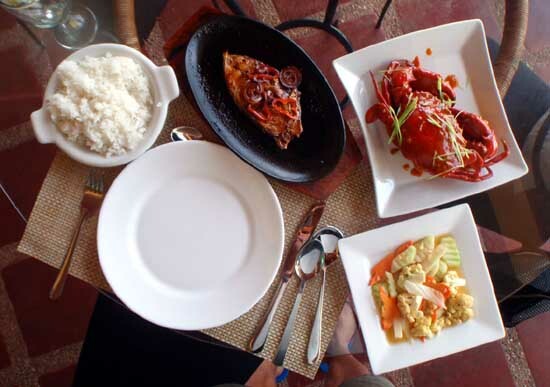 Next time you're in Coron, treat yourself to Dive Link!